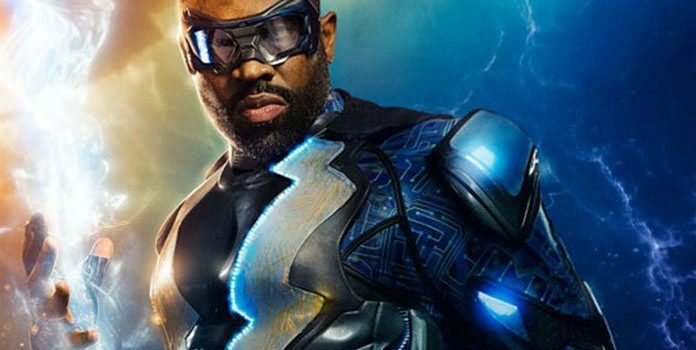 The National Association of Black Journalists (NABJ) Convention and Career Fair is happening this week in New Orleans, Louisiana, and on their schedule for August 11 is a special video presentation and Q&A featuring the cast and producers of Black Lightning. 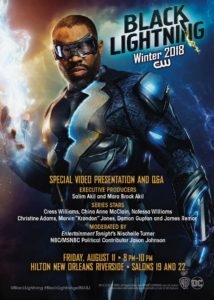 Executive Producers Salim Akil and Mara Brock Akil will be in attendance, as well series stars Cress Williams, China Anne McClain, Nafessa Williams, Christine Adams, Damon Gupton, and James Remar. Marvin “Krondon” Jones, who was just announced as an addition to the cast as Tobias Whale, will also be present. Entertainment Tonight’s Nischelle Turner and NBC/MSNBC political contributor Jason Johnson will be moderating. You can read more about the NABJ here.